Senior writer jclombardi presents Packers team grades. PASS OFFENSE: A. Led by elite QB Rodgers, the Packers were fifth in passing yards per game (257.8), third in yards per completion (8.0), fourth (tied) in touchdown passes (31), and third in overall passer rating (98). QB Rodgers matured to elite status leading the Packers to win the Super Bowl and MVP award. The wide receivers showed development led by Greg Jennings, James Jones, and Jordy Nelson. The tight-end position suffered the loss of all-pro Finley, to injury, but rookie TE Quarless showed promise to be a good backup. RUSH OFFENSE: D. In the first game of the year, the Packers lost RB Ryan Grant. The running game was never the same. The Packers finished 24th in rushing yards per game (100.4) and 25th in yards per carry (3.8). RB Brandon Jackson is just too pedestrian. Fortunately, while inactive until Dec. 5, rookie James Starks saved the Packers running game. In his first start against the Eagles, he rushed for a franchise playoff history of 123 yards. He became a Packers postseason star. FB Kuhn is a good all-around player for special schemes. PASS DEFENSE: A. The Packers stellar defense ranked first in opposing quarterback passer rating (67.2), second in points allowed (15.0 per game), second with 24 interceptions, fifth in passing yards per game (194.2), and seventh in yards per attempt (6.5). Further, with a solid front seven led by NT Raji and OLB Matthews, the Packers had a pass rush tying second in sacks (47). CB Tramon Williams and CB Sam Shields solidified the secondary, while strong safety Charlie Peprah solidified the deep end. Veterans all-pro Charles Woodson and Nick Collins led the defensive team. RUSH DEFENSE: D+. The Packers regressed from a first rush defense ranking in 2009 (83.3) to 18th in 2010 (114.9). Even a worse statistic, the Packers’ average yield per rush increased from 3.6 in 2009 (3rd) to 4.7 in 2010 (30th). However, the timely additions of DE Green and OLB Walden helped the Packers to improve the rush defense throughout the playoffs to win the Super Bowl. With the injury to ILB Barnett, the stellar performance of LB Bishop solidified the interior linebackers. In 2011, the Packers face hard choices at linebacker positions, including whether to keep Hawk and Barnett. Overall, the Packers were more of a bend defense that never broke, but they must improve in this area for 2011. SPECIAL TEAMS: D. The Packers’ return units are simply pedestrian as each week became nearly a weekly D-grade horror show. The Packers ranked an awful 26th in kick returns (20.1) and 22nd in punt returns (7.9). The Packers’ coverage units ranked 12th (tied) on kickoff returns (21.8) and 25th on punt returns (11.0). The bright spot was punter Tim Masthay who won several games with his field position punts. Kicker Mason Crosby had a good year making 78.6% of his kicks, but he must improve his kickoffs. MANAGEMENT: A-. GM Thompson made impressive personnel moves using the draft and free agency to add depth in several key positions. The rookies included RT Bryan Bulaga, RB James Starks, CB Sam Shields, DE Mike Neal, OLB Frank Zombo, TE Tom Crabtree, and punter Tim Masthay. The timely veteran pickups of safety Charlie Peprah, OLB Erik Walden, DE Howard Green, and ILB Matt Wilhelm helped the team deal with a season full of key injuries. The decision to let go veteran CB Harris and DE Aaron Kampman were good ones, although they both will be Packers Hall of Famers. COACHING: A-. McCarthy has problems with clock management, proper challenges, and game plan adjustments. Yet, his steadiness and confidence in his team endured making solid adjustments from key injuries and winning the Super Bowl. McCarthy is a great offensive schemer, but he was wise enough to bring in Dom Capers to run the stellar defense. However, he must find a new special teams coordinator. OVERALL: A. The Packers had the mettle and resiliency to survive a tough schedule, key injuries, and bad losses winning the Super Bowl. The Packers repeated the performance of the 2007 New York Giants as the only NFC teams to win three straight road games to get to the Super Bowl and to win it. 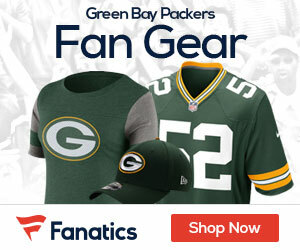 The Packers got their fourth Super Bowl trophy in five appearances and their NFL-high 13th NFL championship. COMMENTARY: We apologize being away for several days. These reviews are hard work requiring intense research. We have mixed feelings about the 2010 season seeing many important personnel and coaching moves over the offseason. The 2010 Packers season fulfilled Super Bowl expectations, although not in the same way as the prognosticators saw it. The Packers were very lucky getting huge timely personnel moves, blossoming superstars from Rodgers to Sparks to Bishop to Williams, outstanding performances from initial backup players who became stars, and intervening destiny to win the Super Bowl. The Packers have a strong nucleus, solid coaching staff, and strong organization to blossom into several more Super Bowl appearances. It’s called a dynasty.